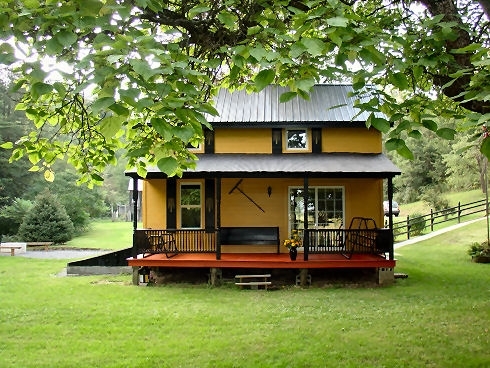 The Country Willow House is a quaint and welcoming country farm house. 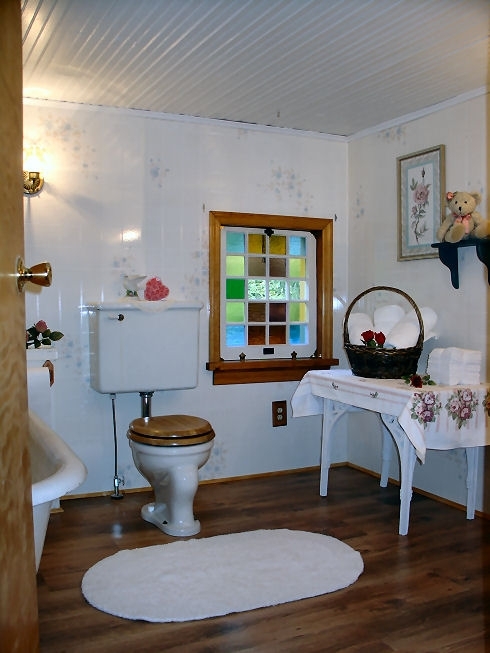 The full sized bath is the picture of country charm! 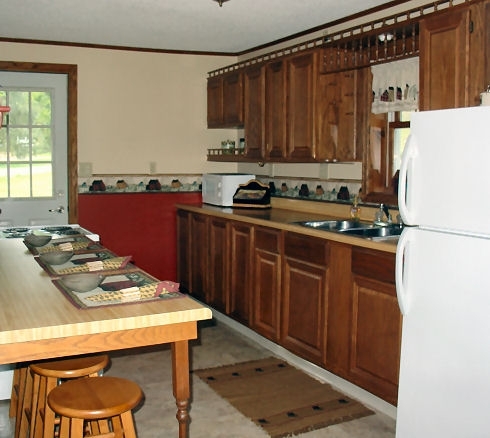 Enjoy the country kitchen; fully equipped with all amenities. 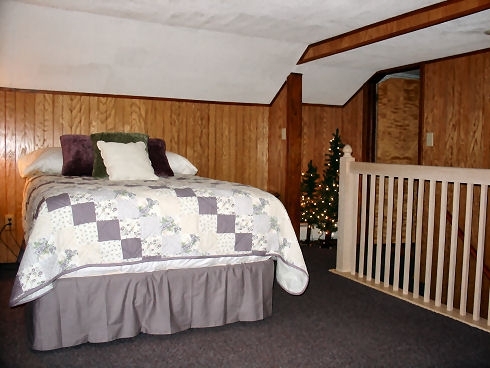 Enjoy a wonderful night's rest in the full size bed featured in the main sleeping area. 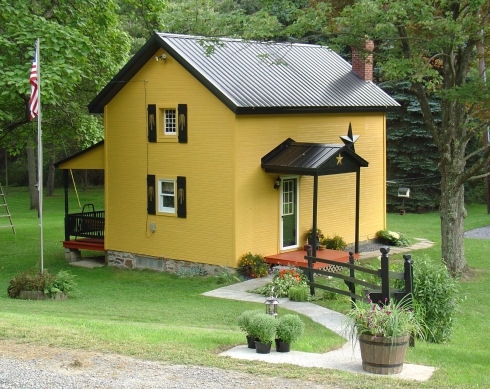 Situated on a peaceful and secluded property just minutes from historic downtown Bedford, PA. 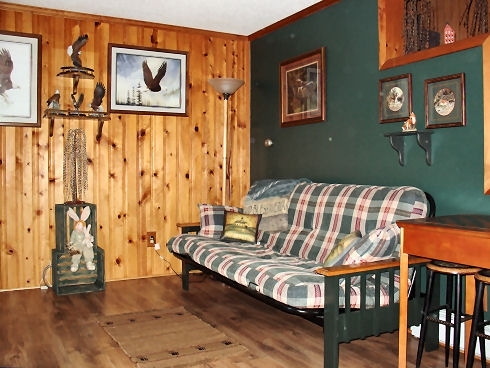 The Living Area in the Country Willow House provides a relaxing comfortable place to rest and relax.